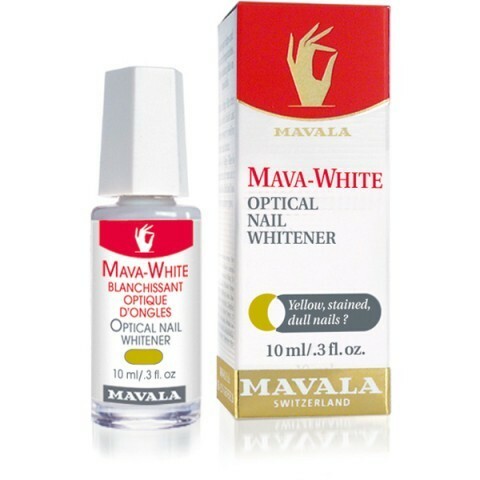 Eradicate dull colour pigments or yellowing from the surface of the nail plate with Mavala Mava-White Optical Nail Whitener. Its innovative formulation works by using specific pigments that react to UV light, hiding unsightly discolouration. Various external factors (colour pigments, nicotine etc.) 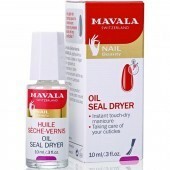 can stain, yellow or make your nails look dull and unsightly. Mavala Mava-White Optical Nail Whitener hides the appearance of stained, dull nails, whilst giving them a natural and healthy look. 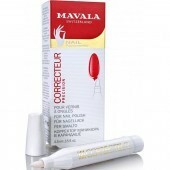 Thanks to the matte finish when used on its own, Mava-White may also be used by men whose nails have become stained or yellowed, perhaps due to nicotine, and who are concerned about the appearance of their nails. 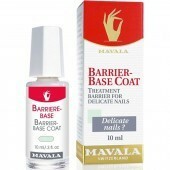 For a matte effect, apply Mava-White onto bare nails. 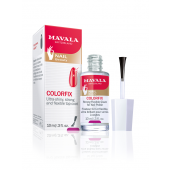 For a longer hold and shiny effect, apply a base coat before Mava-White and a top coat after. For a luminous nail polish shade which is not distorted by yellow nails, apply Mava-White after a base coat and before nail polish and top coat.